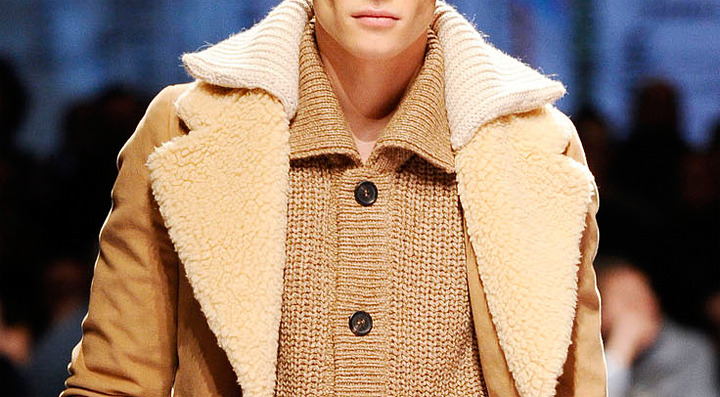 When Miuccia breaks out the color for a fall collection, you know you’re in for something special. 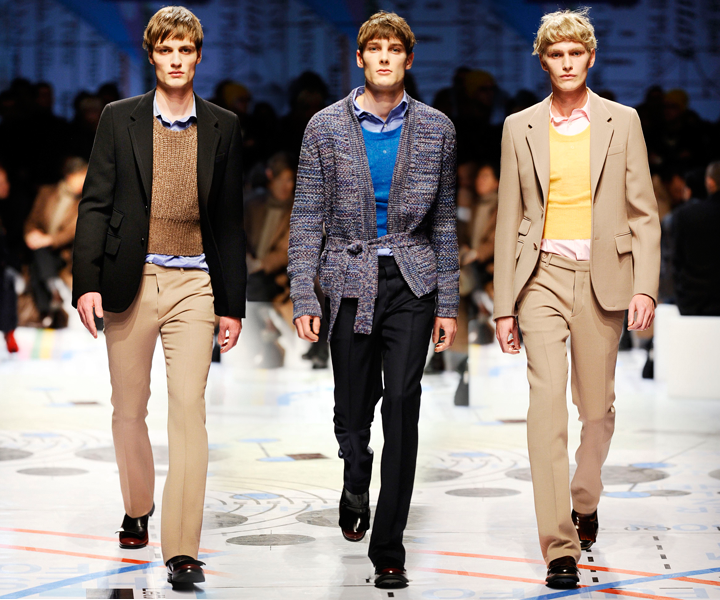 The running theme of structurally sound knit sweaters and saturated prints along with straight-cut, pleated pants came together to create looks that exuded the Prada aesthetic sans the studs, perforations, and gimmicks of seasons past. 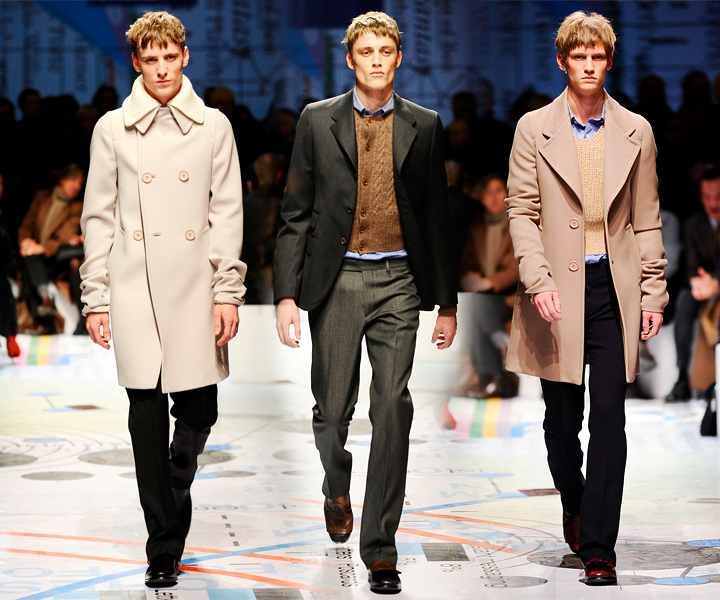 If you ignore the loud prints–which I’m happy to do, though I have a feeling that I’ll grow to accept them sooner or later–the collection was a very stripped-down display of the classic Prada man. 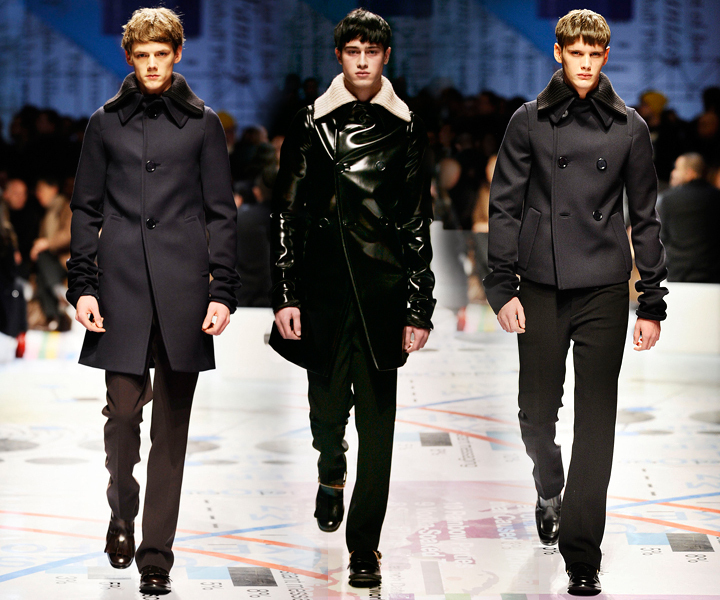 Beautiful tailoring, exceptional fabric combinations, and subtle constructional quirks allowed for a view of Prada menswear at its core. 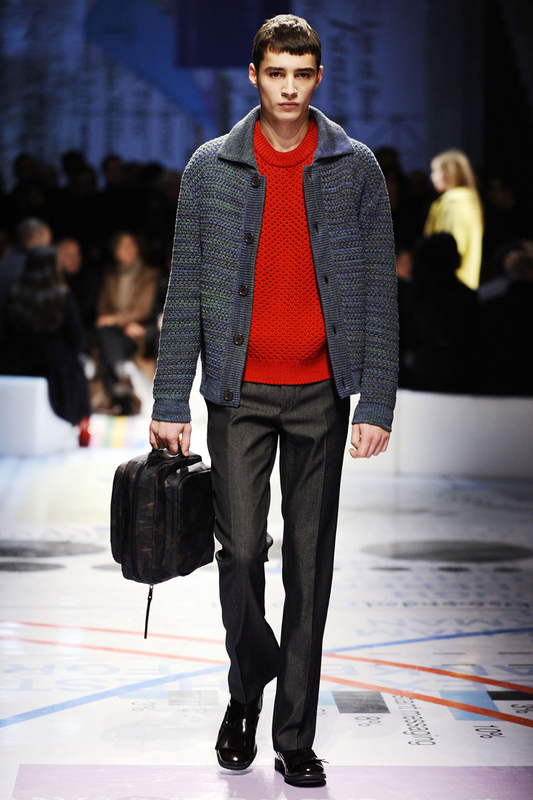 Overall, for a die-hard Prada fan, this collection certainly did not disappoint. 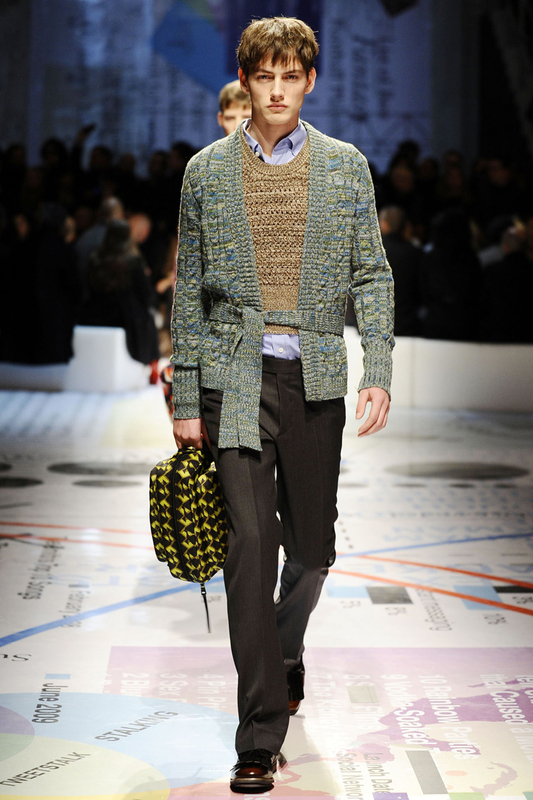 Sidenote: I don’t think Miuccia has used this much color for any of her past fall menswear presentations since 2003 when she used prints and knits that bear somewhat of a weird resemblance to pieces seen in this collection.